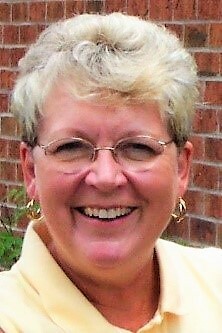 Sally Bredenkamp, of Bluewater Bay, Florida, went to be with the Lord on February 12, 2019 after a brief illness. She was at home with family at the time of her passing. Sally was born August 4, 1938 in Hartington, Nebraska to Glenn and Myrtle Miller. Growing up on a farm in northeastern Nebraska, she was involved in 4H, school activities and high school cheerleading. She attended the University of Nebraska where she met the Love of Her Life, Bart Bredenkamp, in 1959, and they were married on June 11, 1961, the day after he graduated from college. Sally’s first love as a vocation was as a University Extension Service Home Economist where she worked with 4H Clubs, and with women’s groups, such as Home Economics Extension Clubs in rural, urban and suburban areas; emphasizing nutrition, clothing, housing, home management, family economics, child care, and activities for betterment of the community. During the 30 years she moved around the world with Bart, as he served in the Air Force, she also worked in a variety of other capacities - elementary school teacher, teacher’s aide, a staff member for the National Right To Work Committee and as a human resources manager with Electronic Data Systems (EDS). Sally loved organizing gourmet dinner groups that helped expand circles of friends at new locations and was very active in the Officers’ Wives Club at many of the places they were stationed. After retirement, they moved to Bluewater Bay in 2000 to join friends made throughout their career and to make many new friends through a variety of hobbies including golf, bridge, bunco, and book clubs. Prior to her health failing, Sally was active in support of charity work in the Niceville community and Crosspoint United Methodist Church. Sally is preceded in death by her parents, Glenn and Myrtle Miller and two older brothers, Gerald and Don Miller. Sally is survived by Bart, her husband of 57 years, her son, Brad and wife, Jo Anna; and her son, Trevor and wife, Michele; along with 7 grandchildren: Lauren (husband, Scott and great granddaughter, Alayna), Jacob, Ward, Amelia, Soren, Gavin and Grier. She also leaves behind many nieces and nephews. In lieu of flowers, the family requests that donations in Sally's name be made to Crosspoint Stephen Ministry, Phone: 850-678-4411; Shriners Hospitals® | Make a Donation Today‎; or the American Cancer Association. Sally’s love of life showed through in her relationships with everyone. All her loved ones will cherish memories of her love and her infectious smile, she could brighten anyone’s day with that smile. We appreciate the many messages of sympathy we have already received, and kindly request that anyone wishing to express condolences and to share memories of Sally with us please visit www.mclaughlintwincities.com to sign the guestbook. Efforts are underway with Arlington National Cemetery to get a date for Sally's burial there. That date could yet to be a few weeks or a few months away. As soon as an Arlington date is confirmed, arrangements for a Memorial Service will be scheduled at Crosspoint Church in Niceville, FL and announced here.